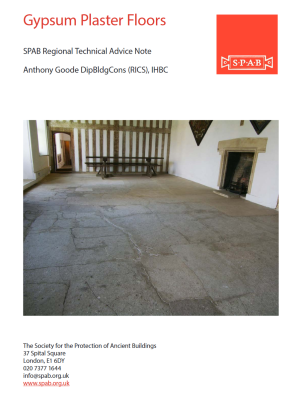 IHBC members can check out the suite of free downloadable publications from the SPAB aimed at giving practical help on a variety of common building repair issues. Check out our new series of publications aimed to give practical help on a variety of common building repair issues. Available to download for free, topics covered in our expanding range of advice notes include: controlling damp in old buildings; gypsum plaster floors; and slate roofs in the South-West and the East Midlands. You can also find dozens of helpful articles on our searchable knowledge base. Technical Advice Notes: Our free-to-download publications include an expanding suite of Technical Advice Notes aimed at providing authoritative and practical references for those involved with caring for and repairing old buildings.